Spanish, double Dutch or Chinese? Every language has idioms and figures of speech. Their origin lies in a country’s history and culture, and is often gradually forgotten until only the phrase remains. Few Germans stop and think about why it seems “Spanish” to them when something is odd or confusing, just as native English speakers rarely wonder why something incomprehensible is “double Dutch” or “all Greek” to them. It’s a little-known historical fact that the German phrase “that seems Spanish to me” (Das kommt mir spanisch vor) probably emerged after the Spanish King Charles V became Holy Roman Emperor in 1519, confronting the German court with a host of unfamiliar Spanish customs. And “It’s all Greek to me” is said to be based on a Medieval Latin annotation used by scribes – Graecum est; non potest legi, meaning “It is Greek; it cannot be read” – while “double Dutch” and similarly disparaging phrases such as “Dutch courage” seem to have emerged during the Anglo-Dutch wars of the 17th and 18th centuries. Is it all Greek to the Greeks? Native speakers can understand and use expressions like these without thinking twice. But for non-natives who don’t have a perfect mastery of the language, it can be anything but straightforward. If idioms were translated literally they would make little sense, since national and cultural differences – however small – play a significant role. Luckily, there are equivalent expressions in other languages that can help us out in these situations. Because something incomprehensible is hardly likely to be “all Greek” to the Greeks. Eggs, peas or drops of water? Instead, the Spanish say Esto me suena a chino – literally, “That sounds like Chinese to me”. And the French have a corresponding expression, C’est du chinois. When two people look very similar, Germans say that they are “as like as one egg to another” (sie gleichen sich wie ein Ei dem anderen). The English equivalent is of course “to be like two peas in a pod”, while in French and Spanish the expression is “to be as like as two drops of water” (se ressembler comme deux gouttes d’eau, parecerse como dos gotas de agua). What’s the deal with owls and Athens? West European languages share very similar cultural backgrounds and are also linguistically related, so they often use similar figures of speech. 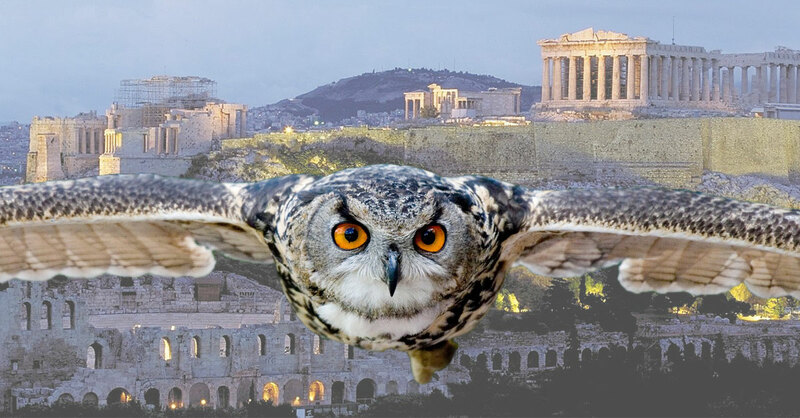 German and Dutch speakers both draw on Ancient Greece in the phrase “to carry owls to Athens” (Eulen nach Athen tragen; uilen naar Athene dragen), which originally referred both to real owls and to Athenian coins bearing their image and the nickname “owls”. Athens was extremely wealthy at various times in its history, which led people to joke that there was no need to bring yet more gold to the city. The British equivalent of “to carry coal to Newcastle” is a variation on the same theme, albeit with a little more local flavour. And the pattern also crops up in French (“to bring wood to the forest”, porter du bois à la forêt), Italian (“to pour water into the sea”, portare acqua al mare) and Spanish (“to sell honey to the beekeeper”, vender miel al colmenero). Non-native speakers usually need to reach a very high level in the language before they can use turns of phrase like these correctly. For translators and interpreters, they certainly make life more interesting – although they do cause the odd headache too.